A new health breakthrough has shown that watching violent images in the media may have led to rising sickness in America — both psychological and physical. It stems from collective traumas like mass shootings, terrorist attacks, and wars. Researchers say graphic images could have chronic consequences for our mental and physical health. Study participants who watched more than four hours a day of television about 9/11 and the Iraq War reported stress symptoms over time. For 9/11, those who watched more than four hours a day in the weeks following had diagnosed physical health problems two to three years later. The researchers assessed their health before the 9/11 attacks and assessed them after the attacks, the start of the Iraq war, with regular follow-ups. Acute stress is that which occurs in the first few weeks after an event. Post-traumatic stress sets in after a month has passed. About 12% of the 1,322 participants reported high levels of acute stress related to 9/11, and seven percent related to the Iraq War. 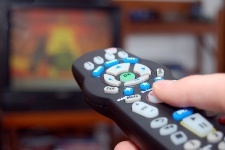 Watching more television around these violent events led to a higher likelihood of acute stress. What it shows is that exposure to graphic media images is an avenue through which trauma can be spread around the U.S. It is, quite simply, not good for us. Now with mass shootings and violent episodes increasingly in regularity, it presents some danger to us. Couple that with access to images being easier than ever, through smartphones and social media, and our exposure increases even more. When you think about it, our newscasts are filled to the brim with disturbing images. That’s on more of a daily basis, but then you have to add to this any major events around the globe, some of which are not caused by humankind. Tsunamis, earthquakes and hurricanes are just a few destructive forces that have left searing images burned into many of our minds. Exposure to vivid, disturbing scenes has, in this case, been linked to stress in the body that is a hidden cause of a vast array of health ailments. This is all just something to consider. The next time a TV announcer warns viewers of graphic material ahead, maybe we should change the channel. Or turn it off and go for a jog? In any case, living long and healthfully means reducing stress. Take steps to make sure you don’t fall victim to its negative power.